If you want to buy a van with minimal stress or fuss then an approved dealer will be your best route to a new van. Not only will you get a factory-fresh van or pick up, built to your exact specification, but you’ll also be provided with a full manufacturer-backed warranty for three or four years. 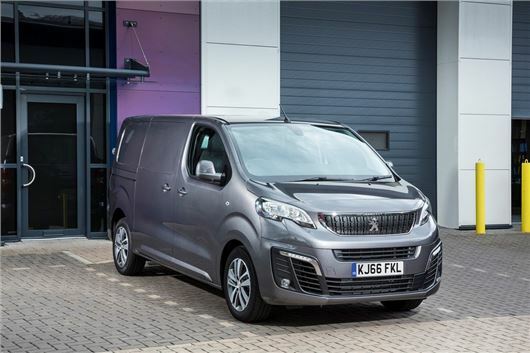 An approved dealer will also offer a number of large and small new vans for sale on a pre-reg basis, which will provide huge savings – up to 30 per cent - compared to a factory-built van. Pre-reg vehicles are usually advertised as "ex demo" or "delivery mileage" vans. Regardless of which option you choose - factory-built or pre-reg - there are some important things to take note of before you set foot in any dealership. What sort of van/pick-up do you need? Yes, we know it sounds obvious, but we’ve lost count of the times we’ve heard of someone buying a van only to then discover it isn’t suitable for their trade or needs. So, before you do anything, take some time to work out what you need from the vehicle. Do you need lots of carrying capacity and a powerful engine for towing, or will something compact and economical fit the bill? If you need to carry specific materials, tools or equipment, work out the measurements and weights so you can ensure that the new van will meet the length, width and payload requirements. Load area details are usually listed on the manufacturers' websites. They can also be found in the paper van brochures. Some vans will also be sold with load coverings, ladder racks, roof racks and internal racking. If you need any of these items then you can make big savings by buying a van with them already included. However, don’t fall into the trap of paying for features that you’ll never use. The cost of motoring can be astronomical, so it’s important not just to look at the price of the van itself, but also how much it will cost to run over the medium and long terms. The traditional route of buying the van outright with cash or a bank loan has long been supplemented with two more versatile and lower cost options: contract hire and leasing. And you find the benefits and drawbacks of each of these here. The cost of motoring can be astronomical, so it’s important not just to look at the price of the van itself, but also how much it will cost to run over the medium and long terms. If you’re funding the van with monthly payments (as do most buyers) then you’ll need to add fuel, tax and insurance to your budget. This isn’t too complicated, but requires thought and planning – and the willingness to stick to your budget. VAT paid on light commercial vehicles can be reclaimed as long as your business is VAT registered. However, if the van is also used privately, the business can only reclaim the amount of VAT that’s proportional to business use. For example, a van that is in private use 50 per cent of the time, can only have half of the VAT reclaimed. VAT can also be reclaimed on leased commercial vehicles, subject to the same conditions for business use. Never lose sight of the fact that you want a new van for the lowest possible price. Always be firm but polite with the salesperson because their objective will be to sell for the list price and earn a healthy commission. Playing one van dealer off against another is the oldest and most effective trick in the book. Never be fooled by a typical “you must buy right now or the deal is off” shtick. A deal will always be available. If they refuse to budge on price, try asking for some extras to be thrown in for free. Servicing, racking or an upgrade in trim are often thrown in for free by eager salespeople who want to close a deal. Never be afraid to ask. Having a van to part exchange adds a layer of complication to the buying process and while it’s important to research and know the part-exchange value of your van, you should always think about its valuation in the context of the deal. We'd recommend establishing the price (including any discounts) of the new van before you speak about part exchanging. A dealer may offset a high part exchange value against a smaller discount for the new van, so try to think in terms of what you’ll ultimately be paying. You can always sell privately if you don't think the dealer's offer for your existing van is good enough. We know it’s a cliché, but always read the small print. These are the terms and conditions you are legally bound to for buying the vehicle and it isn’t unknown for hidden extras – delivery, number plates, fuel – to be added here. Make sure any extras or discounts promised by the salesperson are included in the documentation, otherwise you’ll have a hard task to prove their inclusion at a later date. Likewise, if you are paying for the van via finance, make sure the monthly payments and fees are listed and as agreed. If you're not happy with anything listed in the small print - or the monthly payments are different - then don't sign.